VGA (480x640) , QVGA (240x320) ,WVGA (480x800), WQVGA (240x400) and FWVGA (480x854). 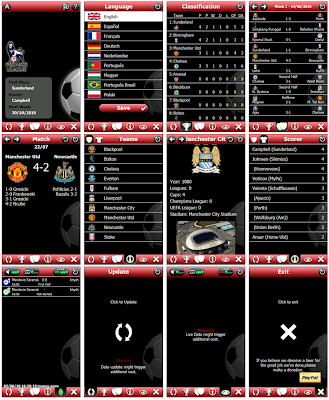 All information about Premier League. 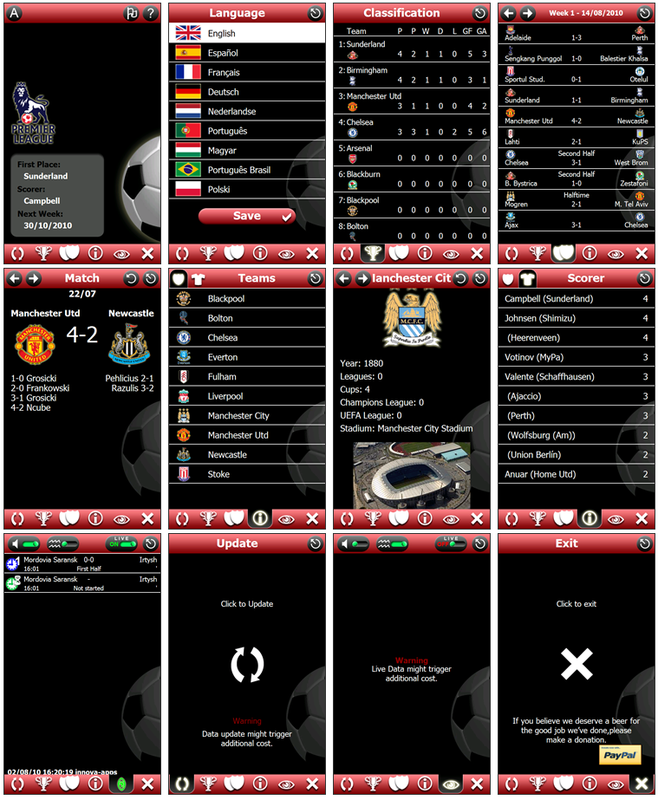 Live mode: Advise of more important events during match. Internet updatable (with new versions advise).